Every day, people suffer traumatic brain injuries and other catastrophic conditions because of the negligence of others. Catastrophic injuries can require extensive and costly medical treatment such as surgery, pain management, physical therapy and psychiatric counseling. Many injuries do not fully heal, leaving the victim to suffer with daily physical pain and emotional distress. Patients often lose the ability to use part of their anatomy. At Harris Lowry Manton LLP, our lawyers understand how life-altering catastrophic injuries can be. Our Atlanta catastrophic injury lawyers work with many medical specialists who can provide a realistic long-term prognosis and treatment plan. We have obtained numerous multi-million dollar verdicts and settlements in catastrophic injury cases. 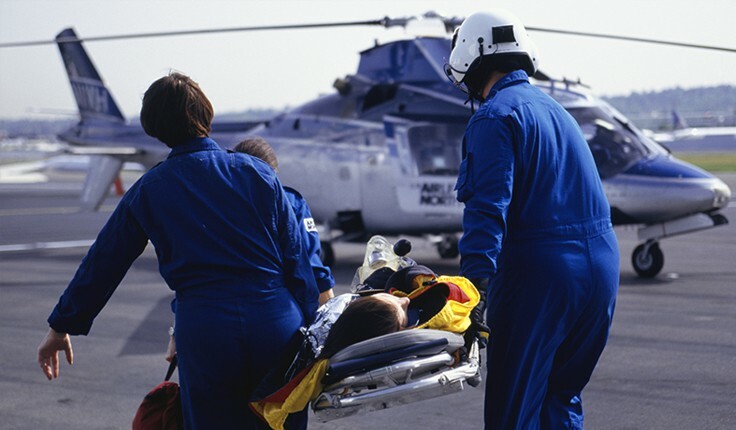 Catastrophic injury is a legal term for any injury that is debilitating and permanent. Injuries that heal quickly and without any medical treatment seldom fall into the category of catastrophic injury. Traumatic brain injury (TBI). A TBI can cause a person to suffer permanent loss of cognitive skills, impairment of organs and other body parts, loss of sexual function, and other complications. Spinal cord injury. Spinal cord injuries include nerve damage, physical pain, and paralysis, including quadriplegia and paraplegia. Amputation injuries. A loss of an arm, leg, hand, foot, finger, or even a toe changes a victim’s life forever. Burn injuries. First-, second-, and third-degree burns often leave unsightly permanent scars. Severe burns may require multiple skin grafts. It is not enough to get payment for corrective surgeries. At HLM, our Georgia catastrophic injury lawyers demand payment from all responsible parties for all medical surgeries, all doctor visits, the costs of any medical devices, and the expense of all necessary medications. In addition, we fight to recover the maximum pain and suffering award and payment for any lost income or inability to work. We also seek damages for injuries such as scarring or disfigurement. Vehicle collisions. Crashes with a great amount of physical force and speed often cause severe long-term injuries. High-speed car accidents, collisions involving large semis and huge tractor-trailer trucks, and motorcycle crashes frequently cause permanent and serious injuries. Defective products. When products — such as cars, electronics, work equipment, or drugs — fail, the consequences can cause loss of a limb, burns and scarring, broken bones, respiratory damage, neurological problems, and a host of medical problems that require extensive treatments. Construction and industrial accidents. Work sites are supposed to comply with federal and state safety laws. Additionally, construction and manufacturing work should meet current industry standards. Use of heavy machinery, moving vehicles, insecure scaffolding, and other work problems can potentially cause catastrophic injuries to workers and pedestrians. Some of the other types of accidents we handle include birth injuries; accidents involving planes, trains, and buses; slips and falls from high heights; and physical attacks due to negligent security. Don’t suffer in silence. Don’t wait until all the medical procedures are done. The sooner you speak with a respected Atlanta catastrophic injury lawyer, the better. With early intervention, we can help you see the right doctors, investigate the cause of the injuries more thoroughly, and help you get the recovery you deserve sooner. For compassionate, strong counsel, call our Atlanta office at 404-998-8847 or our Savannah office at 912-417-3774. You can also complete our contact form. Your first consultation is free. Catastrophic injury settlement product liability.